Below are Nigella Lawson’s favorite books, available to purchase individually or as a set. This may not just be my favorite Dickens novel, but my favorite novel period. I read it regularly, and every time is an undimmed pleasure. More, every time it feels fresh. That is the mark of greatness. 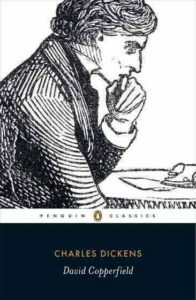 Although the comic characterization is as juicy as ever, and it’s impossible to read without laughing out loud, Dickens here gives the fullest expression—through the hero who tellingly bears, if back to front, his initials—of horror at the heartbreak, savagery and injustice of the world. It is the ultimate bildungsroman and the truest story of how a person comes to be. Not for nothing was it Freud’s favorite novel. 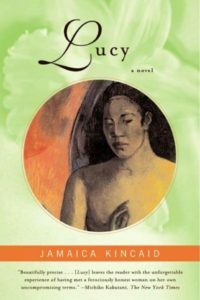 This is a nuanced and powerful novel about growing up, the mother-daughter relationship, female identity, sexuality, cultural dissonance, privilege, poverty and the pernicious legacy of colonialism. 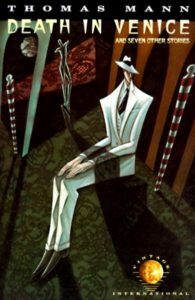 Kincaid’s style is both immediate and headily intense. A glinting, multifaceted work within relatively so few pages. This book was my late sister Thomasina’s favorite as a child, though it is close to my heart for other than sentimental reasons, too. 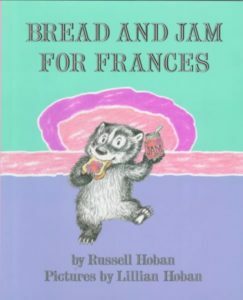 Within its prettily illustrated story about a fussy eater, it is understanding and touching about the fears and joys of food, and of childhood. So enduringly touching. 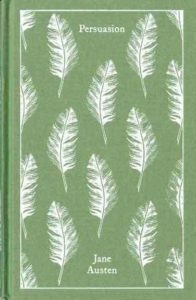 Sparer, more savage and so much more poignant than “Pride and Prejudice,” (a great book, too, and I don’t mean to disparage it at all,) “Persuasion” is a novel that tells us, as only Jane Austen can, about the vanities and follies of being human with such memorably dry wit. 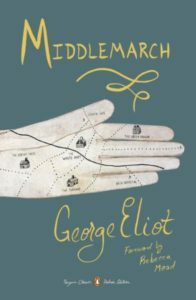 Despite its grand place in the literary canon, “Middlemarch” is really a rich, gossipy boxed set of a novel. I first read this as a teenager in short bursts nightly with a torch after lights-out, and it gripped me like a soap opera. The foolishness of the human condition, the urgency of its whims and fancies, and the often blinding need to find meaning are unsparingly chronicled in this feast of a book. 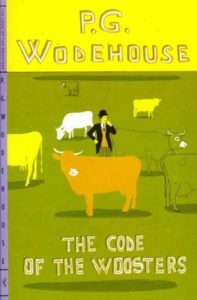 PG Wodehouse is not a writer for those who want to read about the rah-rah world of aristocratic fops, he’s a writer for those who love reading sentences that shimmer with brilliance and wit. He is the preeminent English stylist, and I find it impossible to read him without purring with pleasure and hooting with laughter. This particular Jeeves and Wooster novel is a real corker. Haunting and transcendentally compelling, this is a prose-poem of a novel about grief, loss, suffering and family. 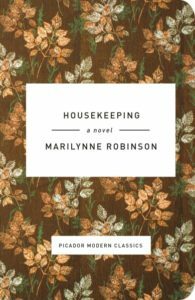 But saying what a Marilynne Robinson novel is ‘about’ seems such a brutish vulgarity: it’s the melancholic yet ecstatic beauty of her language that makes her writing just seep into me, and stay with me. 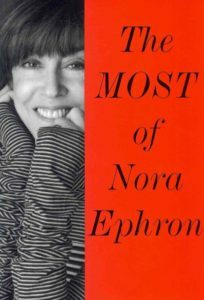 Reading a book is like making a friendship, and Nora Ephron is the funniest, cleverest, wisest (and cleverness and wisdom are not the same things at all, and rarely coexist) friend you could have. I really didn’t know whether to proffer “Heartburn” here or this volume, and in the end I went for this anthology, as it’s impossible to read it (and it does have excerpts from “Heartburn,”) without having to go on to read everything else Ephron wrote. I know that the novella "Tonio Kroger" is not Thomas Mann’s greatest work. There is some part of me that feels that I should be putting up “Buddenbrooks” or “The Magic Mountain” here. And there’s a strong case for “Death in Venice,” too. But this is the book of his that felled me completely when I read it as a German student in my teens. All Mann’s enduring themes are here: the struggle between duty and love, between the febrile pleasure and teutonic responsibility; and the lethal vulnerability of the lover, set against the wanton cruel power of the beloved. It’s an anguished worldview, which is what spoke so directly to the adolescent reader I was, but no one reads Thomas Mann for woo-woo life-enhancing sentimentality. 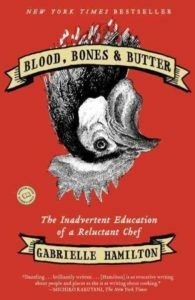 It would be a mistake to think that this memoir by Gabrielle Hamilton, chef proprietor of Prune, is solely for those interested in food. It is one of the most searingly honest autobiographies I have read: it is the story of a woman struggling to find her place in the world, the story of a lost childhood and a recovered self. This is no self-pitying misery memoir: it’s full of grit and passion, combining vigor with sensitivity, and I am as hungry for her words as I am for her food.